A calibration industry leader since 1962, SIMCO provides trusted, high-quality instrument calibration services for thousands of organizations, including 15 of the top 20 global biomedical device manufacturers and 14 of the top 20 global aerospace and defense manufacturers. SIMCO's high-quality calibrations meet the industry's most demanding standards. SIMCO’s broad calibration capabilities cover all types of instruments from thousands of manufacturers. SIMCO provides worldwide calibration services through its network of laboratories and onsite service teams. 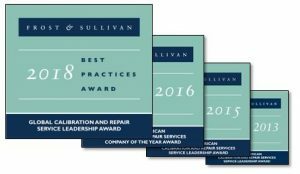 SIMCO has received several important calibration industry awards for outstanding service and performance. SIMCO's CERDAAC software automates all aspects of the calibration process. SIMCO also provides high-quality repair services for a broad range of instruments. All SIMCO calibration levels include instrument adjustment to meet specifications. For more information about SIMCO’s quality calibration services, please contact us at 866-299-6029 or request a quote online.